The steady increase in THC content raises a question about the relationship between marijuana potency and psychiatric adverse effects which is summarized in an article in Current Psychiatry by Joseph M. Pierre, MD, Health Sciences Clinical Professor in the Department of Psychiatry and Biobehavioral Sciences at the David Geffen School of Medicine at UCLA in the February 2017 issue. The table below summarizes data about the increase in potency and its relationship to the type of marijuana. Recently there’s been a lot of attention to the potential benefits of CBD or cannabidiol, but in general, as THC levels have been increasing, CBD levels have been dropping in commercial marijuana. Average cannabidiol (CBD) levels have dropped to <0.2%, and this sudden shift in the THC:CBD ratio in recent years raises the possibility that Cannabis use today might carry a much greater risk of psychiatric adverse effects than it did in previous generations. This change is not news to longtime cannabis smokers, and many of them report having cut back on the amount that they are smoking in order to compensate for this increased potency. Two recent studies suggest that the cutback in amount consumed does not compensate for the increased potency. There is modest evidence to suggest that high potency cannabis (HPC) is associated with a greater risk of substance use disorders (“addiction”). A cross-sectional survey in the United Kingdom found that, although HPC was preferred by users and was rated as offering the “best high,” its use was associated with increasing severity of dependence, especially among young people. 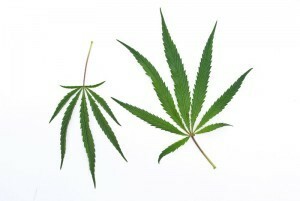 Older studies found that the risk of psychosis in cannabis users was proportional to the amount of cannabis consumed. Thus it makes sense that HPC may have a higher risk. Several case reports describe emerging psychosis among regular Cannabis users after escalating to higher potency medical marijuana and a hyperconcentrated form of hash oil known as Cannabis “wax” or “dabs” that contains as much as 90% THC. The first of these studies, published in 2009, found that adults hospitalized for first-episode psychosis were more likely to have used HPC than healthy controls. Among Cannabis users, HPC use was associated with a 7-fold increased risk of psychosis, with daily HPC use associated with a 12-fold increased risk. Based on a larger dataset, a second study reported that high-potency, but not low-potency, Cannabis increased the risk of first-episode psychosis with increasing frequency of use. Daily users of HPC had a 5-fold higher risk of psychosis compared with those that had never used Cannabis. A third study reported that HPC use and daily Cannabis use were independently associated with an earlier onset of first-episode psychosis, with daily HPC users developing first-episode psychosis an average of 6 years earlier than non-Cannabis users. Finally, a prospective study following patients with first-episode psychosis over 2 years found that the greatest risk of relapse—defined by hospital admission caused by exacerbation of psychotic symptoms—was found among self-reported daily users of HPC, while the lowest risk was among those who stopped using Cannabis after their initial psychotic episode. To date, only 1 study has assessed cognition at higher Cannabis potencies, comparing Cannabis with 4% THC to 13% THC. Cognitive impairments increased with higher potency, especially in tasks that measured motor control and executive functioning. Therefore it appears that higher potency Cannabis use is associated with greater acute cognitive impairment. van der Pol P, Liebregts N, Brunt T, et al. Cross-sectional and prospective relation to cannabis potency, dosing and smoking behavior with cannabis dependence: an ecological study. Addiction. 2014;109(7):1101-1109. Freeman TP, Morgan CJ, Hindocha C, et al. Just say ‘know’: how do cannabinoid concentrations influence users’ estimates of cannabis potency and the amount they roll in joints? Addiction. 2015;109(10):1686-1694. Freeman TP, Winstock AR. Examining the profile of HPC and its association with severity of cannabis dependence. Psychol Med. 2015;45(15):3181-3189. Ramaekers JG, Kauert G, van Ruitenbeek P, et al. High-potency marijuana impairs executive function and inhibitory motor control. Neuropsychopharmacology. 2006;31(10):2296-2303. Di Forti M, Morgan C, Dazzan P, et al. HPC and the risk of psychosis. Br J Psychiatry. 2009;195(6):488-491. Di Forti M, Marconi A, Carra E, et al. Proportion of patients in south London with first-episode psychosis attributable to use of high potency cannabis: a case-control study. Lancet Psychiatry. 2015;2(3):233-238. Di Forti M, Sallis H, Allegri F, et al. Daily use, especially of high-potency cannabis, drives the earlier onset of psychosis in cannabis users. Schizophr Bull. 2014;40(6):1509-1517. Schoeler T, Pestros N, Di Forti M, et al. Effects of continuation, frequency, and type of cannabis use on relapse in the first 2 years after onset of psychosis: an observational study. Lancet Psychiatry. 2016;3(10):947-953.